Washington's influence in the Asia Pacific region is waning with its longstanding allies adopting a more independent foreign policy course and bolstering economic ties with China. Although the Obama administration continues to push ahead with its "Pivot to Asia" project, Washington's influence is steadily waning across the Asia Pacific region, Tony Cartalucci, a Bangkok-based geopolitical researcher, notes in his article for New Eastern Outlook. "Washington has suffered geopolitical setbacks in virtually every nation in Asia Pacific, including those now led by regimes it has meticulously organized, funded, and backed for decades. It is also waning, however, among those nations considered long-time and crucial US allies," Cartalucci emphasizes. According to the researcher, Thailand, Washington's longstanding ally, has recently "incrementally dismantled American influence over it." Thailand's trade activities are now focused primarily on Asia with the majority of its imports and exports "divided equally between China, Japan, and ASEAN" nations. For its part, the West represents a smaller, "though not insignificant," market, the researcher stresses. Likewise, the country has also rushed to diversify its military acquisitions. "What used to be a military dominated by American hardware and military exercises, is transforming with the acquisition of Chinese tanks, European warplanes, Middle Eastern assault rifles, Russian helicopters, and Thai-made armored vehicles — as well as joint drills held with a variety of nations, including for the first time, China," he writes. What is more important, a strikingly similar shift is occurring throughout the rest of Asia, with China acquiring a more important role due to its geographic position, sustainable economic development and its population growth. Cartalucci turns the spotlight on major flaws in Washington's "Pivot to Asia" strategy: while trying to curtail Beijing's influence in the region, the US leadership has ignored the fundamentals of economic and sociopolitical factors. However, "US attempts to destabilize China — the primary trading partner for nations across the entirety of Asia — are a direct threat to the entire region, not just Beijing," Cartalucci warns. Indeed, Thailand is not the only nation spotted drifting away from Washington and diversifying its foreign contacts. Last Friday, Philippine President Rodrigo Duterte announced his "separation from the US" during his four day state visit to China. "I announce my separation from the United States. Both in military, not maybe social, but economics also," Duterte said. "I've realigned myself in your ideological flow and maybe I will also go to Russia to talk to Putin and tell him that there are three of us against the world — China, Philippines and Russia," he noted. Commenting on the matter Duterte clarified that Manila was not severing ties with the US, still, the Philippines will adopt an independent foreign policy course, he stressed. "As in separation, what I was really saying was separation of foreign policy. In the past, and until I became president, we always follow what the United States would give the cue," Duterte noted, as cited by Reuters. 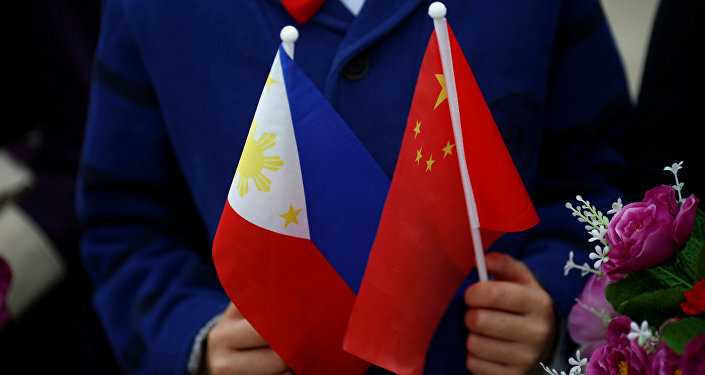 In an interview with Sputnik Chinese news service Vladimir Yevseyev, deputy head of the Moscow-based Institute for CIS Studies, highlighted that Beijing has outpaced Washington in the economic struggle for influence in the Philippines. The expert called attention to the fact that the Philippines have long been strongly dependent on the US' economic and military aid. The country's shift to China and Russia may help Manila diversify its foreign policy contacts. "If successful, such a policy of diversification will allow the Philippines to pursue a more balanced policy in choosing partners. It may [result in] Manila developing relations with both China and Russia," Yevseyev told Sputnik. At the same time the expert stressed that "this does not mean that the US will allow China to go far in collaboration with the Philippines." "Washington will try to create serious obstacles to cooperation between Manila to Beijing," Yevseyev suggested. Speaking to Radio Sputnik's Loud & Clear host Brian Becker, Nap Pempeña, vice-chair of Anakbayan-USA, remarked that Duterte's comments "have struck a nerve in the region." 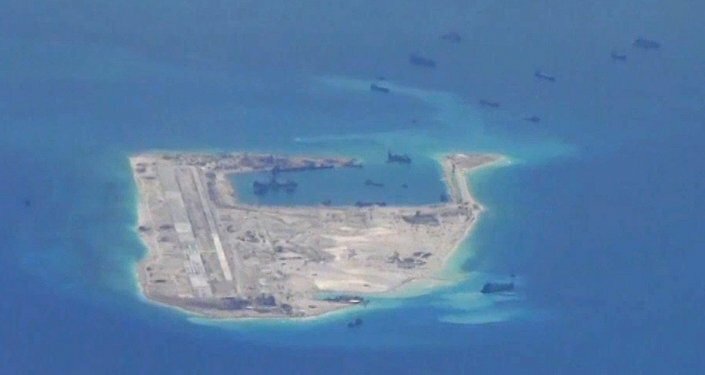 Pempeña observed that while Manila is unlikely to give up its sovereignty to Beijing, it will not harm China's interests in the South China Sea region to appease Washington. "We welcome this development, actually, because it's the first time in history that Philippines stood up against the US imperialism and is asserting sovereignty and independence from a foreign nation that dominated the country," Pempeña told Radio Sputnik. Tony Cartalucci believes that the US needs to reconcile itself with Asia's changing status quo, and start treating the region's emerging economies as equal partners. "The sooner Washington can recognize and accept this, the sooner it can rationally realign its relations with Asia toward something tangibly more constructive," the researcher concludes.